Live Active is proud to announce its addition to training routines. We can now safely coach kettlebell use in our workouts. 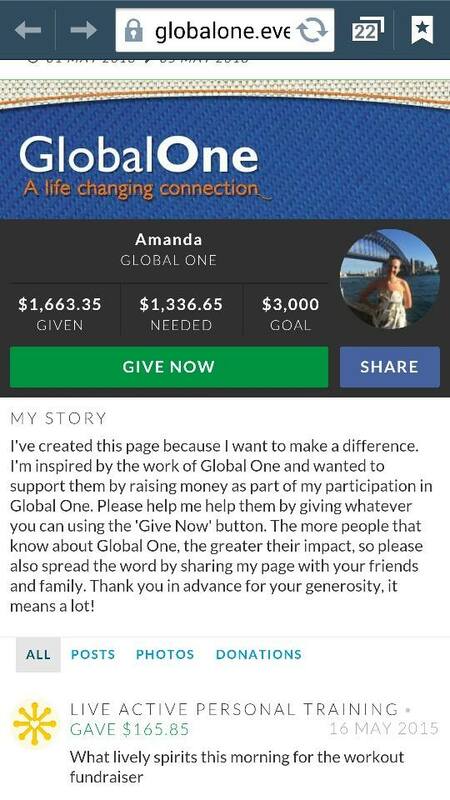 Ecstatic to have raised over $160 for Amanda of Global One’s Africa initiative on Saturday May 16. The ladies powered through the fundraiser workout, and most importantly turned up to train when it really counts the most. Congratulations to the WINNER CARENE for finishing the big drill first, she has really earned this and I am just so proud. Was brilliant to watch and a marvellous morning!